In one of the most unusual flying careers of the Second World War, French fighter pilot Pierre Le Gloan became an ace fighting against the Axis–and then became an ace fighting against the Allies. French pilot Pierre Le Gloan and his Dewoitine D.520 fighter, in Vichy livery. Everyone knows that US troops, under the umbrella of the United Nations, entered Korea in June 1950 to counter the North Korean invasion. But most people don’t know that this was not the first time US troops fought in Korea. 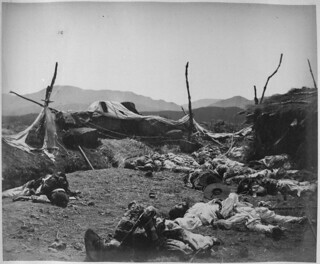 The first US-Korean war was 79 years before, almost to the day. 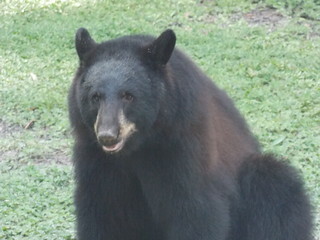 The Florida Black Bear (Ursus americanus floridanus) is a geographical subspecies of the American Black Bear. The common Black Bear ranges all the way from Alaska to Mexico, with populations in at least 40 states. It is the smallest of the three bear species found in North America, with males weighing around 325 pounds or so. The Florida subspecies, however, is even smaller, averaging about 250 pounds, and unlike the far-ranging common Black Bear, thefloridanus subspecies is found only in scattered portions of Florida and the southern parts of Georgia, Mississippi and Alabama, wherever it can find the large undeveloped tracts of forest and swampland that it needs. (The isolated population of bears in Louisiana is considered to be another separate subspecies.) Female Florida Black Bears require at least 10 square miles of territory; males, who range over the territories of several females, need at least 30-50 square miles. By 1943, it was becoming apparent that the standard propeller-driven piston-engine aircraft was reaching the limits of its potential speed. At the same time, though, Nazi Germany was facing daily raids by American and British bombers, and needed ever-faster planes with ever-higher altitudes to fight back. 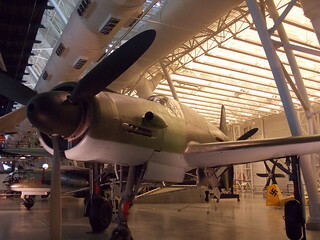 In the race to increase speed and power, unconventional designs were looked at, and one of the oddest was the Dornier Do335 “Pfeil” fighter, which had two propellers–one mounted in front and one at the back. By 1890, the US was expanding rapidly. The West had been conquered, thriving large cities existed along both coasts, and populations were moving in large numbers. The primary method of transportation was the railroad, and new tracks criss-crossed the country. But even at top speed, it took almost a week to travel from coast to coast. 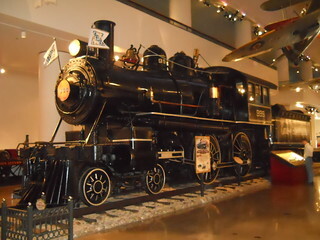 The locomotive “Empire State Express No. 999” changed that. Empire State Express No. 999, on display at the Chicago Museum of Science and Industry. In 1938, a type of fish that had been thought to be extinct since the time of the dinosaurs turned up alive on a fishing boat in South Africa . . . 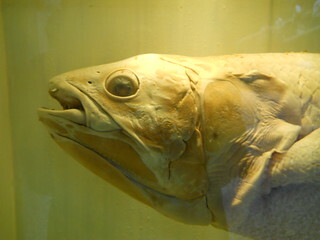 Preserved Coelacanth on display at the British Museum of Natural History. Since the 1920’s, futuristic scifi novels and films depicted humans zipping around sky cities in flying cars. Several dreamers even produced designs for cars that could be converted into airplanes and vice versa. The first of these to be certified by the FAA was the “Airphibian”, the brainchild of an amateur designer who taught himself aeronautics from a book. 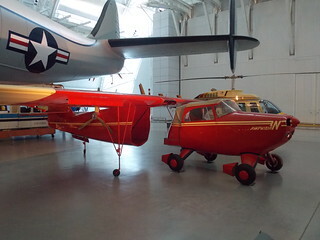 The Fulton FA-3-101 Airphibian, on display at the Smithsonian Udvar-Hazy Center.